You think you did everything you reasonably could to get your supplies at the most economical price. You did your research, shopped around to find the best product, the best service and the best price. You placed your order and like clockwork, the truck pulls up to the dock. The goods are verified, inspected and accepted in good order. Docking list and bill of lading signed and invoice delivered. Check. Check. Check. Done deal? Not hardly. The efficiency with which you manage your accounts payable (AP) business practices can have a significant effect on your ability to get early payment discounts from your vendors. By some estimates, the savings achieved with early payment discounts can be as high as 36%. For instance, when vendors offer an early payment of 2/10, net 30 essentially they are asking to be paid 20 days early, 2% for 20 days equates to 36% for 360 days. Why such a sweet deal? Like you, suppliers want to be paid as quickly as possible to ensure the health of their own business. Sound old-fashioned? Absolutely. But despite technical advances made in many areas of business, in the AP arena more than 75% of invoice volume is still paper-based, delaying the payment approval and increasing costs. For companies with legacy paper invoices filed away in boxes and file cabinets, converting these documents to digital will also reduce labor costs, improve customer service and reduce costs. 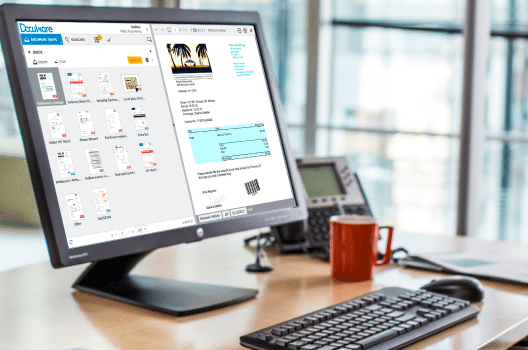 Converting paper invoices to electronic files requires integrating these documents into an imaging system so everyone who needs to access these files can do so easily. For more information about saving time and money with document imaging services, download our FREE eBook, Manufacturers: What Document Management Solution Is Right For Your Business.